We`re in love with the ocean! Every living thing, including you and me, depends on it, as it affects everything from global weather patterns to food systems. Make these small changes and the ocean will love you back. Everything affects everything. Even the smallest things you do can have greater consequences (you must have heard of the butterfly effect! ), which means that sometimes our seemingly small, unimportant habits and daily actions sum up to a bigger catastrophe. 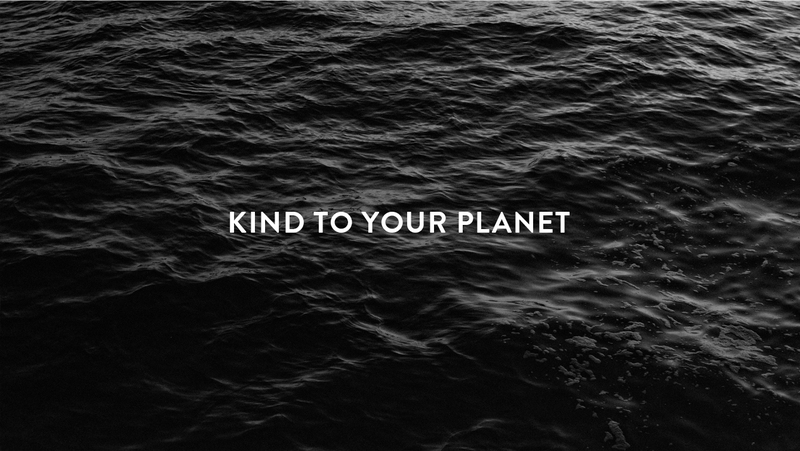 So be a nice butterfly, don`t ruin the ocean by paying attention to a few small changes. We`ve talked about the harm of microbeads, chemical sunscreen and cotton buds, so this time pay attention to other daily products you use that also damage the marine ecosystem. As you already know, we are suckers for science and facts, so here are some numbers that actually mean a lot. We haven`t explored 95% (!) of the ocean yet. Just imagine what`s down there! 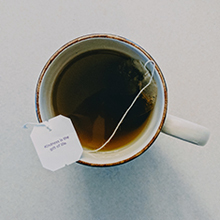 Even though teabags are considered as compostable, only between 70-80% of them can be biodegradable because of the plastic polypropylene which is used to heat seal them. Choose the herbal teas gathered by grandmas that can be bought at artisan markets or choose plastic-free teabags offered by eco-friendly tea companies. Most of them are too lightweight to make it through mechanical recycling sorters. 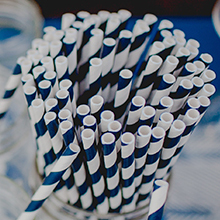 Admit it, this really is unnecessary plastic rubbish that you can easily replace with eco-friendly alternatives like bamboo or stainless steel straws. Or just be nice and drink without the straw. As it turns out, one trillion (!!!) 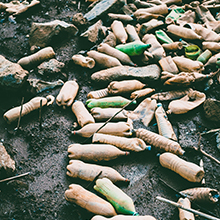 plastic bags are disposed of every year and each of them take up to 1000 years to degrade. Sounds scary, right? Decrease those numbers by choosing reusable grocery bags and say no to a bag when someone offers it. Buy your own very cool coffee mug instead of buying plastic coffee mugs every morning, which will not only reflect your love of taste and design, but also your values of creating a greener and healthier planet. A very sticky problem that sums up the toxic catastrophe. 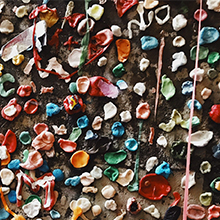 This might sound strange but it makes sense when you find out that chewing gum is made of synthetic rubber. It is the second most common form of litter after cigarette butts and it is estimated that 92% of Britain`s urban paving stones have chewing gum stuck on them - it makes sense, as 80-90% of chewing gum is not disposed of in any litter receptacle. Crazy right? Thankfully, there are more sustainable alternatives, like chewing chicza (100% natural, biodegradable gum), mint leaves (super fresh breath) or cloves (also improve digestion and reduce inflammation). When the morning comes and even the biggest party animals finally leave, the scene left afterwards can be slightly depressing – especially if you think nature-wise. 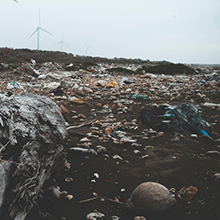 Rotting flower bouquets, wasted food and plastic balloons that are left for disposing and polluting the ocean. And there are plenty of alternatives, like paper ribbons, giant bubbles, reusable banners etc. Even though wet wipes are often marketed as ‘flushable’, they do not break down easily. The plastic fibres in them take a lot of time to biodegrade so this is the reason why you see so much of this stuff on beaches. 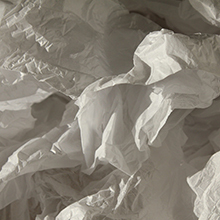 So never ever flush wipes, even if they`re marked to do so – all of them should end up in a recycling bin.